Quick steps to get started with Pressbooks and create a book. 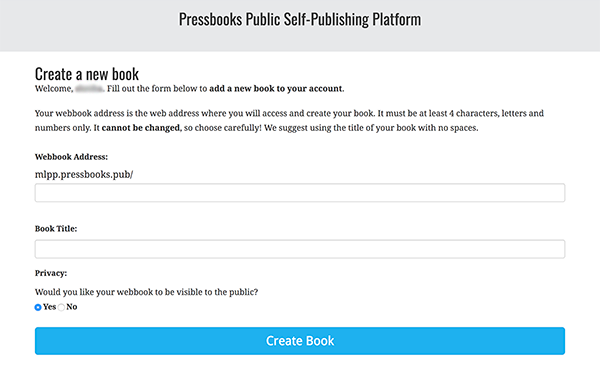 In order to create a book, you must first create a Pressbooks user profile. 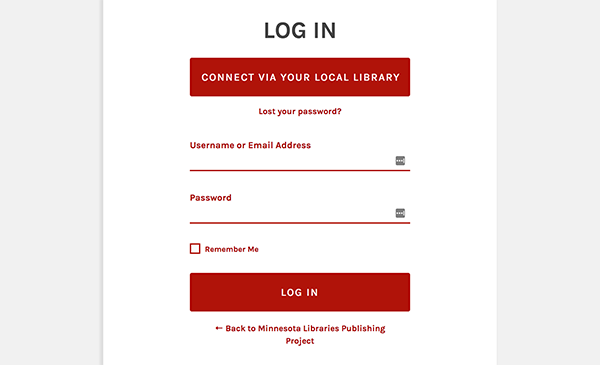 Start at the Minnesota Libraries Publishing Project (MLPP) homepage. Click on the Connect via your local library button. 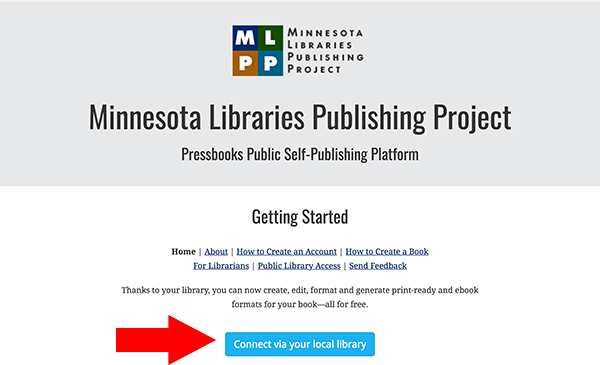 Create a Pressbooks account through this MLPP page, in order to gain access to the premium features. 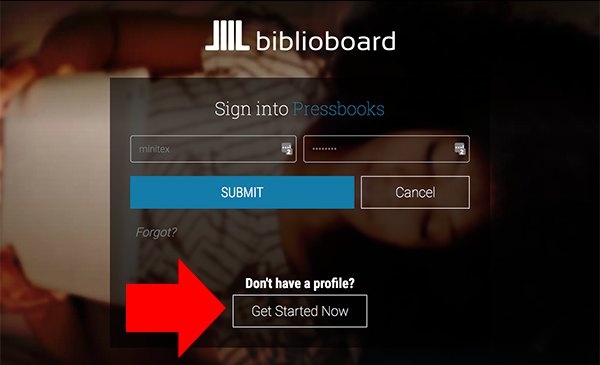 Click on the Get Started Now button to create a Pressbooks user profile. You’ll see biblioboard listed at the top of the page because Pressbooks is hosted by biblioboard. After the initial profile creation and login you will be able to login to Pressbooks directly. Copy and bookmark the website address of your newly created title. From then on, use that web address to log in directly to Pressbooks. If you don’t have a title yet, you can create your book later by logging into Pressbooks here.